Death and Darkness are the norm at Black Rose Investigations . . . 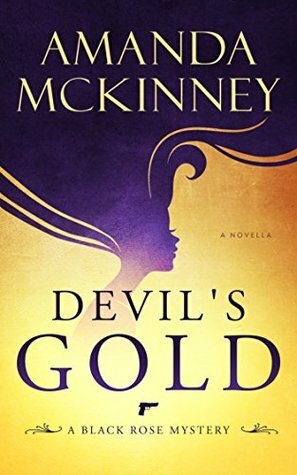 Despite being chronically late, occasionally disheveled and a tad disorganized, Dixie Knight is one of the top private investigators in the country, and when a young woman goes missing in the small, Southern town of Devil’s Den, Dixie takes the case. She expected it to be another ordinary missing person case—until it takes a brutal turn. While visiting relatives on his two-week leave, Marine Liam Cash bumps into Dixie at the local bar, and his attraction to her is immediate. When he becomes suspicious that Dixie’s current case is connected to two unsolved murders in his hometown, he steps in to help investigate, and keep Dixie safe, whether Dixie wants him to or not. As the bodies start stacking up, Dixie turns the town upside down looking for the killer—could it be the rumored witch that lives in the mountains; the rich, neurotic doctor’s wife; or the perky, blonde receptionist at the local medical clinic? “Ace, it’s Dixie.” She started the engine and cranked the heater. As she pulled onto the road, a chill skirted up her spine and she glanced in the rearview mirror. Through the pitch-black night, she saw Balik’s silhouette standing in front of the dark woods. A small flame illuminated her wrinkled face, and beady, dark eyes as she lit a cigarette and watched Dixie drive away. That excerpt is creeepy. I love it. Oh thanks for sharing. This sounds interesting. Thanks for sharing this excerpt. I hadn’t heard of the book or the author, but I like what I read and would definitely consider starting this series. That cover is fabulous too. I am always up for a good mystery. Thanks for the great giveaway. Thanks for sharing. Cool Cover. Love the excerpt! Added to my TBR!! Loving the sound of this one. Thanks for sharing. The cover of that book is really interesting! P.S. – I just found your blog today and I love the name of your blog!